(Abu Dhabi) – His Highness Sheikh Mohamed bin Zayed Al Nahyan, Crown Prince of Abu Dhabi and Deputy Supreme Commander of the UAE Armed Forces, has received Jim Yong Kim, President of the World Bank Group. 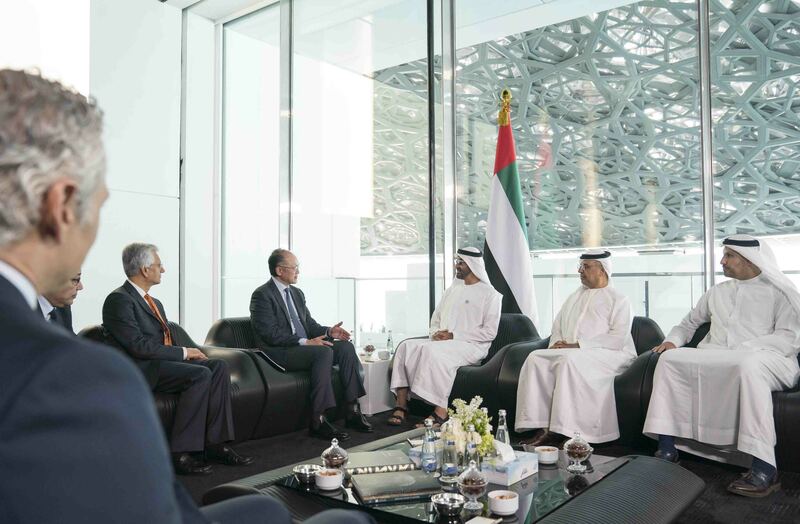 In a meeting at the Louvre Abu Dhabi, the two sides discussed relations between institutions and stakeholders in the UAE and the World Bank, in addition to a number of global financial and economic issues. They also exchanged views on various economic development topics of interest to the two parties, as well as the international community, and emphasised the importance of cooperation and knowledge exchange between UAE bodies and the World Bank. 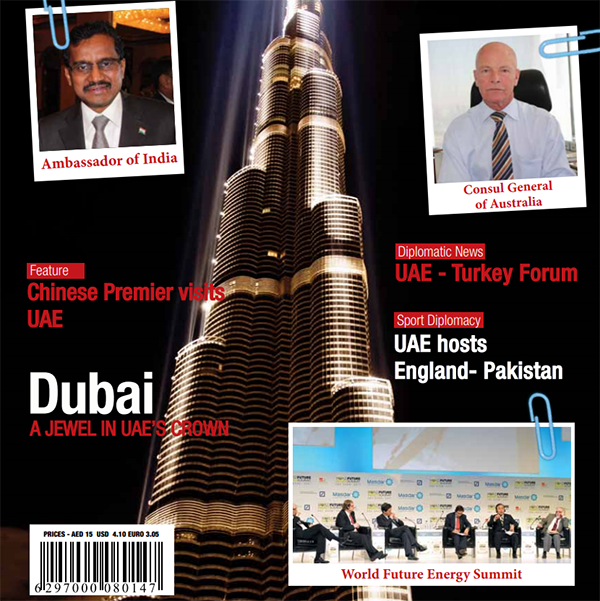 Obaid bin Humaid Al Tayer, Minister of State for Financial Affairs; Khaldoon Khalifa Al Mubarak, Chairman of the Abu Dhabi Executive Affairs Authority; Mohammed Mubarak Al Mazrouie, Undersecretary of the Abu Dhabi Crown Prince’s Court, and World Bank officials and representatives also attended the meeting.